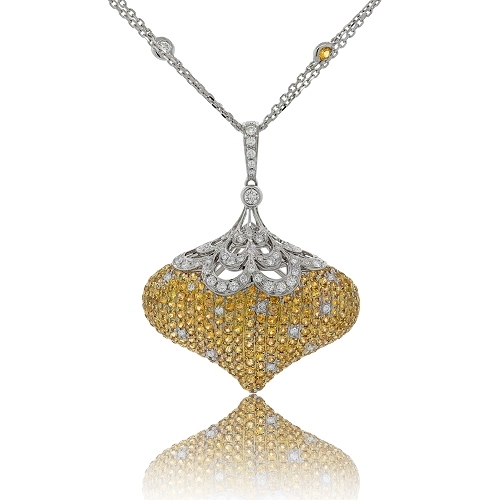 All encrusted yellow sapphire & diamond pendant suspended from a diamonds by the yard chain. Diamonds approx. .87ct. Chain 20"